I knew there’d be false alarms – Going, Going, stanza 1 – Philip Larkin. Above is the opening stanza of Philip Larkin’s 1972 poem, Going, Going. The poem captures the sense of a world being lost to a writer with an unhappy awareness at the inevitability of such a passing. Larkin’s poem is about losing something very particular but being fully aware of this loss as it happens slowly as if the poet is trying in vain to keep a handful of sand together but coming to terms with the hopelessness of such an ambition. 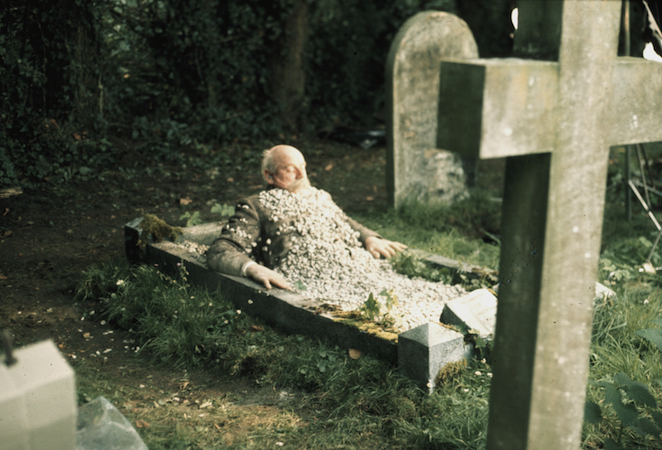 Four years after Larkin published Going, Going, editor and filmmaker, David Gladwell, made the first of his two feature films, Requiem For A Village, which is perhaps the only British film to attempt to channel Larkin’s sense of loss and frustration through the medium of cinema. 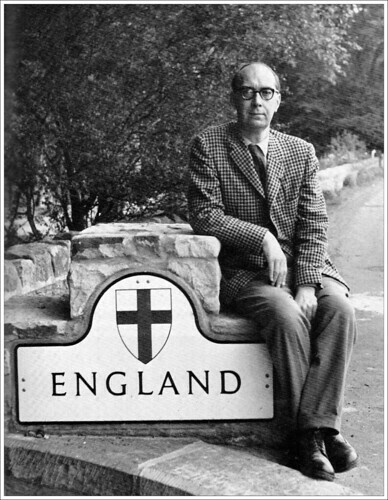 What was being lost to both Larkin and Gladwell was the cushioned isolation of the English village and, in the era of the 1970s, this was a steady but constant evolution that had been happening since the end of the Second World War. Neither artist seems to be gripped by any particular nostalgia for some golden age of innocence but instead are more on the attack; condemning what was and has since replaced the idea of community with the dramatic increase of housing as the population has violently increased. The inevitability of this conclusion means that both the poem and the film have an air of melancholy about their representations of rural life and a sense of extremity about the depictions of the oncoming presence of suburban and urban dwellers. Larkin seems to be more concerned with the encroachment of the brutalist movement in particular upon his beloved villages whereas Gladwell is more interested in building a collection images to show both forms of area before showing the clash and perhaps even an ironic likeness between the people from each zone. On saying this, however, Gladwell does present the coming of suburbia as being a powerful enough threat to literally waken the dead; the dead villagers rising out of their graves to attend a worried town meeting. Compare this scene (the film’s most famous and visually stunning moment) with the above segment from Going, Going and Larkin could be seen quite easily as one of Gladwell’s unnerved villagers. For Gladwell, Larkin’s tragedy had already happened. The meeting of the people in the town seems deeply ironic as the motorcycle gangs have not only already arrived but their actions were already being mimicked by local people anyway (specifically violence and sexual assault). Requiem For A Village itself becomes one of the artefacts that Larkin talks about in his poem, a reminder of the aesthetics of a certain breed of English life that “will linger on” but only within artwork and “in galleries”. Gladwell takes Larkin’s idea and applies some much needed acceptance and questioning of the mourning though, treating the subject with a little more tact and less of a grumpy fustiness. As Going, Going progresses, Larkin’s seething rage builds to the point where it clouds his vision with a pessimism that becomes almost sardonic. Clearly the new developing of the landscape had a stark effect on the aging poet who seemed to be at the epicentre of an evolving and changing topography. The closest Gladwell comes to aligning with this anger is in the presentation of the motorbike gang; a common occurrence as a rebellious symbol in cinema post Easy Rider (1969). Interestingly it is the ease between the estates where they are from and the village in question that Gladwell seems to question, seemingly cutting between their journey through the two areas with a knowing glance. Compare this to a pulp film such as Psychomania (1973) and the difference becomes clear. Whilst the portrayal and actions of bikers entering rural locales is very similar, the key difference is that the bikers in the pulp film seem to search out a rural locale as a sanctuary from the stuffy confines of a 1970s urban environment (they choose a stone circle of course) but often release their frustration upon their fellow urban dwellers when back in the concrete streets. In Requiem For A Village, they also seem to search out this rural plateau to escape bland suburbia but release their inhibitions within the rural environment as well; where the rules seem intangible and the isolated worlds of fields, meadows and country lanes are open ground for release of their gestalt built ID. While both Going, Going and Requiem For A Village channel very similar ideas and themes, one final key difference is worth noting between the two works. Larkin’s poem was one of the last he would write, predicting a future that was only partly happening and yet to fully finalise (it is telling that the poem’s title implies an absent “gone”; Larkin’s prediction was only partly fruitful). Gladwell on the other hand sees rural life as both a past tense for the populace and something to question and cherish in the memory. The position of time is the key difference and while both are now firmly supplanted into that strange vista of 1970s Britain, they surmise a surreal supposition of what the aesthetics of landscape should supposedly conform to. Requiem For A Village screens at Liverpool Small Cinema on the 7th of May @ 19:30. Tickets available here.